Two months ago, a CEO of a High Growth Mid-sized Organization, announced to conduct an international strategic marketing event to promote their services in all corners of the world. He elected Catherine as the Chief Event Manager for this upcoming event and shared all the important details with her and handed over the necessary documents to her. She was given a team of 5 employees who excelled at doing different tasks. Things were going well until one day, when Catherine suddenly decided to quit the job. Catherine’s team knew very little about the details of this event, its budgets, primary contact people and other necessary information. In her absence, it became too difficult to achieve goals in predictable timeline and meet the CEO’s expectations. Secondly, it wasn’t easy to get someone else (as good as Catherine) on the job to meet all expectations. As a result, the preparations of the event went slow and the team postponed the scheduled event while facing a big financial loss. Don’t you think the situation would have been better if CEO had identified the risk earlier and prevented it in a timely manner by implementing a succession planning strategy? Is your organization prepared for sudden exit of key employee(s)? Are you investing in the development of the right set of employees? Is it difficult to identify high potential employees (HIPOs) and develop them as future leaders? If these questions are not letting you be at peace, then you are not alone! Each organization has multiple stakeholders including employees, leadership, customers, vendors and more. Employers rely on their workforce to meet customer demands and achieve business objectives. If an employee designated on a key role quits, it becomes difficult for an organization to fulfill its responsibilities towards the stakeholders. Therefore, none of the businesses should ignore risk mitigation to sustain success of an organization. When it comes to reducing risk, an organization requires succession planning for seamless leadership transition for key positions (at the CEO or any other level in the organization). The goal is to attract, develop and retain high potential employees having skills, capabilities and commitment needed to meet existing and future organizational requirements. Succession planning prepares an organization to carry out its day-to-day operations with minimum disruptions, even when a key employee leaves the organization suddenly. Of course, having a strong pipeline of HIPO talent gives competitive advantage to an organization for the future. I would say, not just the managers, but HR and the leadership are also concerned about their high potential employee program (HIPO program) where they can get opportunities to identify, attract, train, engage and retain HIPOs. CEB stated in a research that one out of seven top performers have critical motivation and behaviour to be called as a true HIPO. These employers lack understanding to identify HIPOs and their HIPO programs focus on the wrong people resulting in inadequate use of resources. Since years, we know that a talented workforce is needed for optimal succession planning. If you are unsure how to build talent pipeline, you can look at the suggested tools and methods to identify potential succession candidates, and establish development plans to drive benefits for employees as well as the organization. It’s challenging to identify those employees who can truly bring greatest value to your business. However, reliable employee performance evaluation and succession management tools can make it possible. HR, managers and leadership should focus on those high potential employees, who want to move to the key positions in the company and demonstrate leadership qualities in their personality, as they are the most deserving succession candidates in the organization. It becomes easy to identify HIPOs when you keep eyes on the top performers in each team and continuously evaluate their performance, capabilities and commitment. The performance potential graph, like Empxtrack’s 9-grid box, allows HR to quickly collect data from the organization and identify high potential employees on the basis of the comments and manager ratings. It shows performance potential of a team member along competency and achievement ratings for the appraisal of the selected period. The high achievers would have a higher rating in both goals and competencies. How to nurture and develop high potential employees to transform them to potential succession candidates? Almost 64% of HIPOs show dissatisfaction with their development experiences, and over 69% of HIPO programs fail to build a strong pipeline of potential leaders to take over from their company’s current crop. This happens due to inefficiency in creating employee training and development programs where managers and HR focus on individual skill development. Identifying succession candidates from internal high potential talent pool and training them to develop the required skills is the best way to nurture potential future leaders. With Empxtrack succession management tool, HR and leadership can identify key positions and map employees with required qualification, experience and competencies. 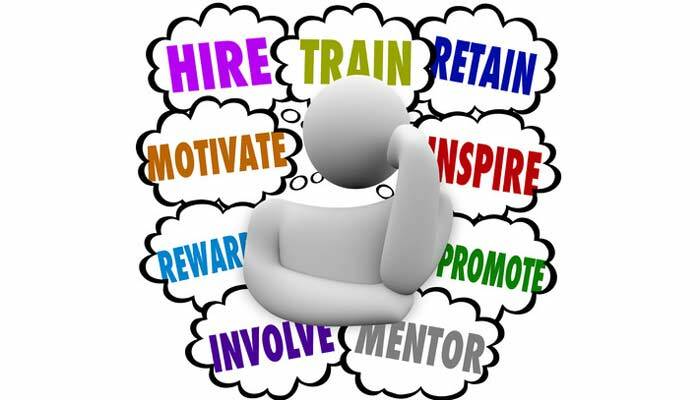 Managers and HR can nurture potential talent by creating development plans to train potential succession candidates. Empxtrack training management tool supports in creating and documenting action plan with appropriate timelines. The employee performance is monitored periodically to analyse the development of each individual. These components of employee development plans keep high potential talent engaged and committed to business goals resulting in high retention. With Empxtrack HR software, you never have to worry about identifying, developing and retaining high potential employees. Multiple modules of Empxtrack HR software address comprehensive HR challenges to track goals, monitor performance, identify top performers, train and develop potential succession candidates and fill key positions in an organization. Empxtrack not only helps in identifying high potential employees, but it supports employers to manage HIPO expectations and ensure that development needs of each individual are properly managed. After all, using a systematic approach and reliable online HR tools improve identification of HIPOs, increase the perception of impartiality in the organization and reduce employee attrition rate. That’s how development of HIPO and succession planning gives an employer an edge over their competition. See this video to get an idea of how Empxtrack works. The video displays how a CEO can identify high potential employees (HIPO), view their profiles and appraisal scores and take appropriate decisions. Still not sure how to get started? Take the Empxtrack free trial or contact us. We’ll walk you through our world-class product and would answer all your questions for your better understanding!